Since 1995, New Media Entertainment AG stands for reliability and a unique know-how in distribution, marketing and trade marketing. We are continuously building on our competencies in the services area and expanding our product range, allowing us to offer our clients ever improving services. Our origins began in the areas of film, software and music. We have been able to consistently expand our product range since our foundingand have since built a large portfolio of product areas. In addition to our products, we have established a range of smartphone and tablet accessories, travel accessories, small electric appliances and, most recently, digital cameras. We present well-known manufacturers from all over the world and are successful in their distribution. Being able to make shipments from a single source gives us a leading position as distributor and rack jobber in Switzerland. Thanks to our modern warehouse, we are able to quickly satisfy the extensive demand of distributors and can also ensure delivery without delay to end customers. We currently supply all large department stores (such as Manor), discount stores, bookstores, convenience stores, sport shops, supermarkets, online shops, music stores, stationary stores, gas stations, kiosks, computer stores, photo stores and electronics specialist stores (such as Media Markt). Our corporate philosophy is to provide great services in combination with a sensible pricing policy and high quality in all areas to our clients and partners. We can achieve this through our longstanding experience, providing the best training for our employees and performing continuous quality controls of our products. 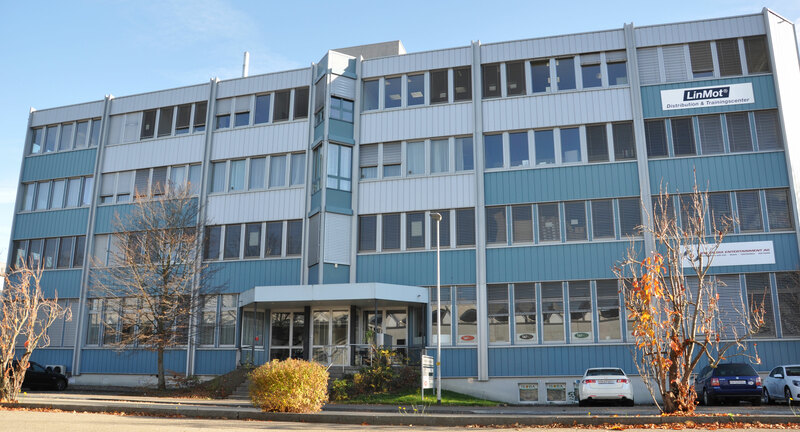 Our multilingual distribution team of account manager, sales representatives and back office supervises the German, French and Italian speaking parts of Switzerland. The sales representatives hail from the respective regions they supervise. We focus our attention particularly on a reliable, trusting, flexible and creative cooperation with our partners. While constantly evolving, we have permanently adapted our logistics in the areas of supply-chain management and storage and dispatch to the current market requirements. We can fulfil our customer demands thanks to our modern interfaces (electronic data exchange). Successful cooperation with our manufacturers and suppliers allows us to frequently open new distribution channels and continuously increase the sales of our clients. We continue to seek new ideas and pursue new business areas daily, without neglecting existing ones. Our motto is: Topicality, dynamism and quality through professionalism and flexibility. Because: Being in standstill is a step backwards!